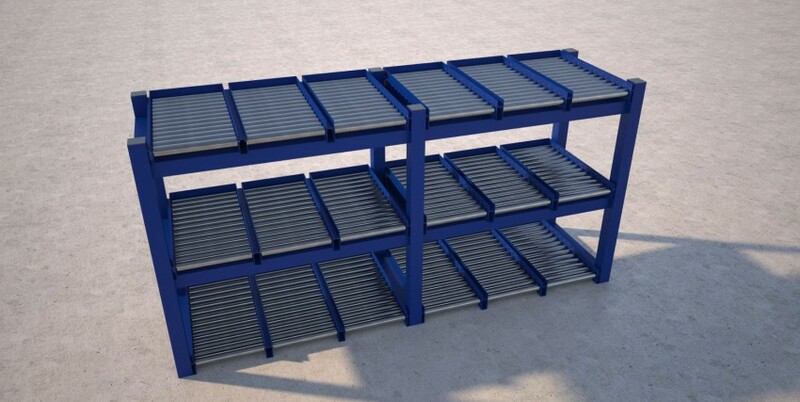 Manual gravity track carton live storage racks, dramatically reduce order processing times, showing real increases in productivity and reductions in waste. Made up of lanes of roller tracks to suit your products, using narrow mini tracks or full width rollers dependent on your product, all mounted in a robust steel frame. Optimum carton or tote storage can be achieved. The roller tracks are mounted on a slight incline towards the pick side and are loaded from the back. 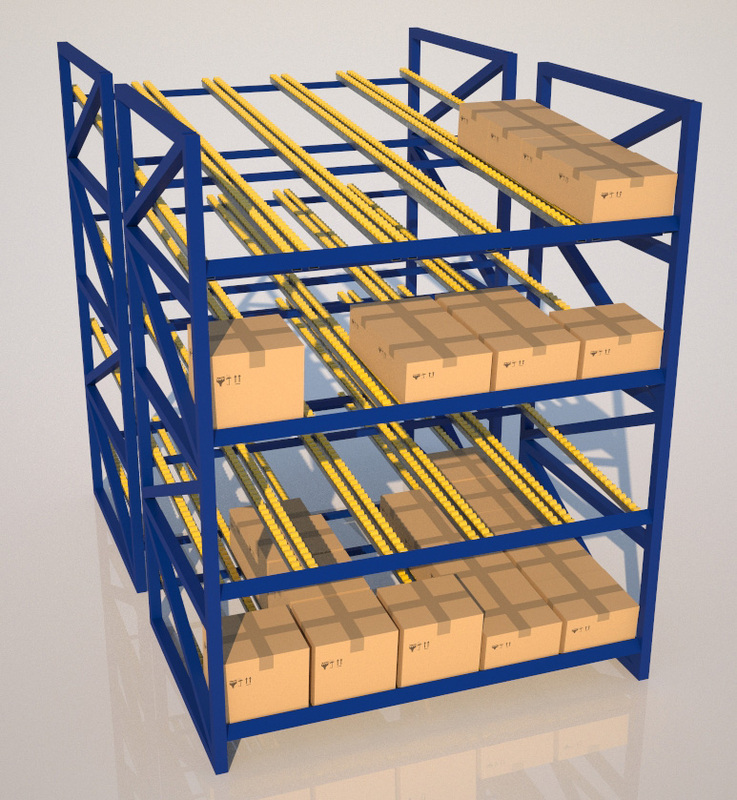 This type of storage ensures a build up of stock can be achieved reducing down time. Order preparation speeds are greatly enhanced. 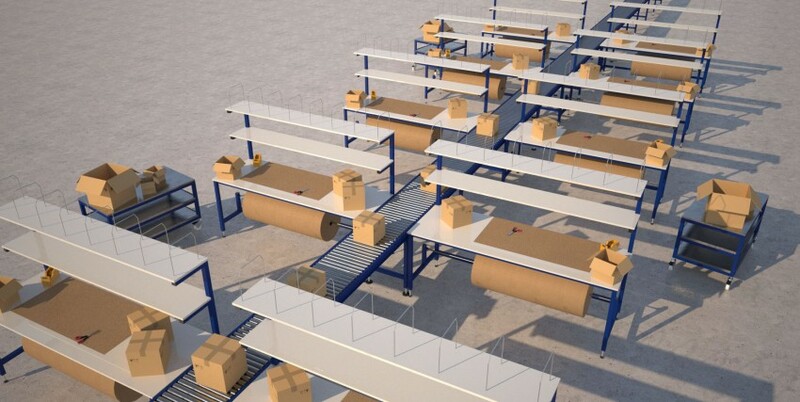 Carton flow storage are designed for use within warehouses for volume picking or within production assembly or packing workstations to ensure stock of parts, materials or kits are in the delivered in an ergonomic position ready for packing or assembly.